Efficient and reliable Internet Security component for websites and Win-based applications. Enables your Web-based application to perform all MD5 encryption directly on the user's computer for better security, flexibility and performance. SafeInput Control is an efficient and reliable Internet Security component for websites and Windows based online applications. It provides confidentiality and integrity on Client-side. In other words, unauthorized users cannot capture any transmissions from customer to company and information are not altered during transmission. SafeInput also enables your Web-based application to perform all MD5 encryption directly on the user's computer for better security, flexibility and performance. At the same time, it reduces the workload of your server. By deploying SafeInput, websites will be able to offer worry free security solutions to their customers on critical information such as account numbers, usernames, passwords and credit card numbers, even if they are already infected by malicious software such as keyloggers, Trojans, viruses, worms, and the like. Yes, information in transmission is encrypted and secure because you purchased SSL certificate, but what about personal information they typed in before the transmission, shouldnÃ¢â‚¬â„¢t those be encrypted and protected as well? The consequences can be very severe for the business from which the number was stolen Ã¢â‚¬â€ such incidents can ruin a company's reputation, cause direct or indirect loss and possibly expose it to legal liability. SafeInput will provide you with an unprecedented client-side protection technology. eWall is a gateway between the Internet and your mail server. It monitors the SMTP traffic in real-time, catching the majority of spam and viruses. The chain of flexible PHP filters stops more than 95% of unwanted emails out of the box. MailScan 6.8a for Avirt is the world's first "Real-Time" eMail Scanner for the Avirt Mail Server. This server is published by Applied Technology Systems Ltd.
MailScan 6.8a is the world's most advanced Real-Time Anti-Virus and Anti-Spam software for Communigate Pro Mail Servers. FohX Desktop Support allows you to submit your analysis to our technicians free of charge for a solution to repair any problems that may have been found. 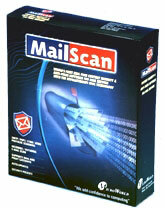 MailScan 6.1 for SpearMail is the world's first "Real-Time" e-mail scanner for SpearMail Mail Server. This server is published by Spearhead Infotech Systems, India. The price mentioned is for single user. Some ads are distributed through the Messenger Service. They look like a normal message box. Stop the Messenger service to get rid of such ads. You may also restart the Messenger service if necessary. On Windows 95/98/ME WinPopup is stopped. Spam Hound is a program that works with your current email reader and blocks spam. Zero configuration is required. Spam Hound automatically detects all email settings. Spam Hound uses Neural Networks to automatically learn to block spam better. This site does not contain serial number, crack, keygen SafeInput Control serial number : serial number is the simplest type of crack. A serial number(cdkey,product key,etc) is register the program as you may already know. a crack or keygen may contain harmful software. If you cannot find the exact version you want, just give it a try. for more information read .nfo/.txt/.diz file include in zipped file.